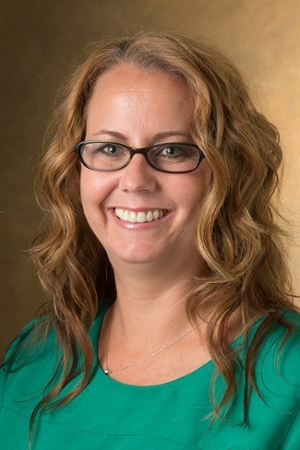 Southern Illinois University Edwardsville School of Pharmacy’s (SOP) Lisa Lubsch, PharmD, BCPPS, AE-C, has been named a Fellow in the Pediatric Pharmacy Advocacy Group (PPAG). A clinical professor in the SOP Department of Pharmacy Practice, Lubsch is also a clinical pharmacy specialist at SSM Health Cardinal Glennon Children’s Hospital in St. Louis. She provides care to children with cystic fibrosis and other pulmonary problems. The Fellow in the Pediatric Pharmacy Advocacy Group (FPPAG) Recognition Program recognizes excellence in pediatric pharmacy practice by acknowledging and promoting public awareness of pharmacists who have distinguished themselves in pediatric pharmacy practice. Previously, Lubsch was president of the organization and appointed to lead the Pediatric Pharmacy Advocacy Group-University (PPAG-U) initiative in 2015. She has directed section leaders from 15 areas of expertise in the field of pediatric pharmacy. The PPAG-U is a central hub for educational courses, conferences, programs and information designed to support board certification of pediatric pharmacists. “Dr. Lubsch joined the School of Pharmacy early in its development and has been instrumental in the success of the pediatric specialization for students,” said Mark Luer, PharmD, SOP interim dean. “Her efforts have long been valued locally, and now she is being recognized nationally for her impact on the professional community as a whole. The PPAG’s mission is to promote safe and effective medication use in children through collaboration, advocacy, research and education. Its vision is to be the leading pharmacy association promoting safe and effective medication use in children. The association has more than 1,500 members and is headquartered in Memphis, Tenn.
Photo: Lisa Lubsch, SIUE clinical professor in the School of Pharmacy’s Department of Pharmacy Practice.